Getting There: The adventure begins at 9:00AM with a pick up at your hotel or in San Ignacio Town. We embark on our journey out of San Ignacio on an hour and 15 minutes’ drive along the George Price Highway (paved road) until arriving at the junction of the Jaguar Paw Cave Tubing outpost. The drive into the site’s parking lot is another 10 minutes or so on paved road. 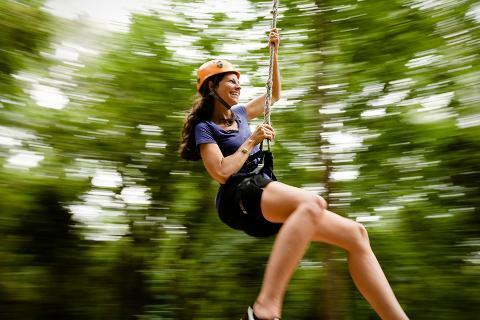 At the Zip Line Course: At the park, we unboard our vehicle and make our way over to the zip line check-in station where skilled guides will brief you on safety procedures while fitting you with their own helmets, harnesses, and gloves. We then head out on a very short hike through the jungle onto the starting point. The first line is a teaser to get you hyped up. There are 6 rounds in total, each lasting about 12 seconds and covering 40 – 300 feet of cable. 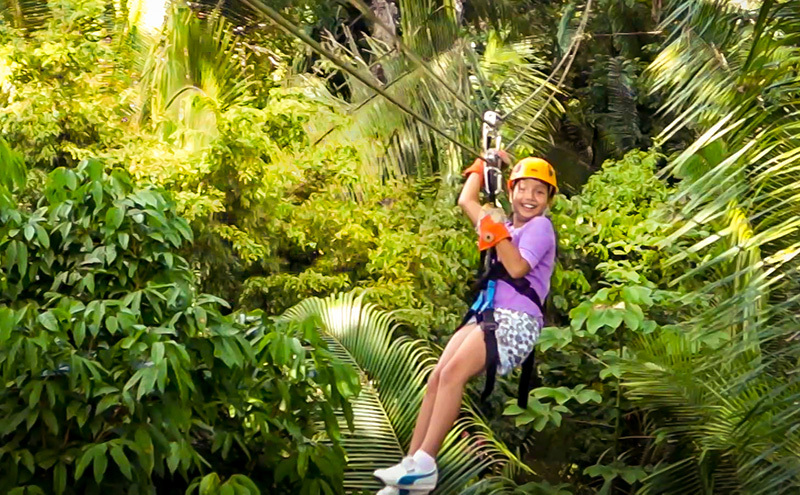 The highest you will fly over the jungle is about 150 feet high. 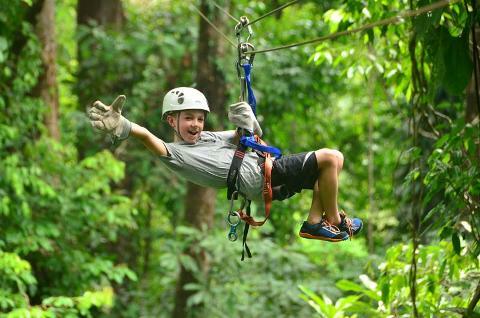 The two lengths take you soaring over the caves branch river in an exhilarating and scenic glide. The entire course lasts about 30 to 45 minutes, depending on the amount of persons in your party. Departure: After our zipline adventure, we walk back to the parking lot where we board our vehicle and head back onto San Ignacio via the George Price Highway, arriving around. 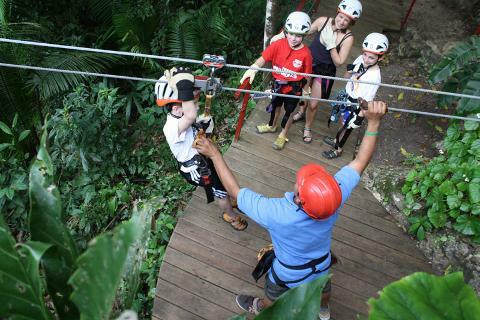 This adventure is normally done in combination with other half day tours such as Cave Tubing, Xunantunich, Cahal Pech, & The Belize Zoo. Duration: Approx. 3.5 to 4 hours total.